I called my Momma at 9:15 tonight. I could hear her TV on in the background. It was saying the same thing as mine. I still have to switch the channel when Shelby passes on. I can remember being a lil girl and just sobbing in my Momma's bed at the part. 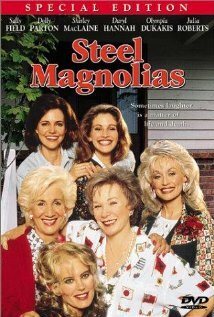 What a great movie about the intrinsic power of multi-generational women. Moral of the Story: Like Momma, Like Daughter.